Rare Manhattan Brought Lots of Cheers! The 99 year old bottle of Cinzano Vermouth was amazing! Every last drop was savored. 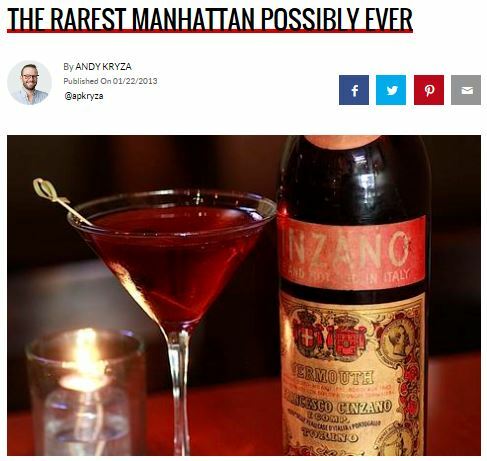 Thanks to all who joined us last night for this rare..
Checkout THRILLIST’s article on our Ultimate Manhattan! One night only Wednesday, Jan. 30th.